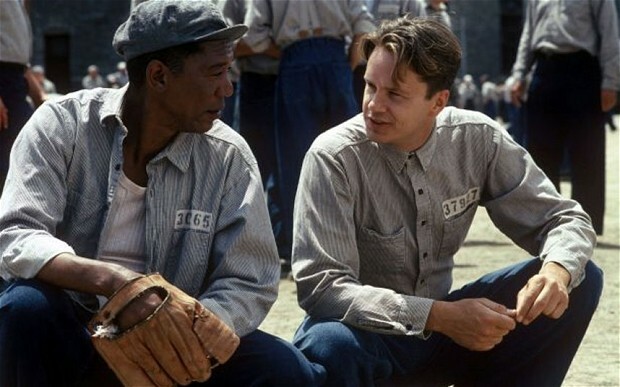 Inciting incident: The conviction of Andy Dufresne for the murder of his wife and her secret lover. Central Question: Will Andy succeed in escaping from prison? Plant: Rita Hayworth, Marilyn Monroe, Raquel Welch. Payoff: Hole in the wall leading to the underground tunnels. PLOT POINT 1: Andy confronts the guard while tarring the roof giving him tax advice about how to shelter his $35,000 by giving it to his wife. Andy then negotiates two bottles of beer in return for preparing the tax documents for him. Andy has now gained the acceptance of the inmates and most importantly the confidence and friendship of Red. When offered a beer, Andy declines because he doesn’t drink! Andy soon gets his rock hammer. PLOT POINT 2: The warden throws Andy in the hole for a month after attempting to get empathy from the warden. Andy tells the warden that he knows who killed his wife and seeks the warden’s help in pursuing the man. Andy sets off the warden when he mentions that he would never say anything to anyone about the money laundering inside the prison. The warden meets with Tommy one dark night, in private, asking him if what he told Andy was a true story, then kills him avoiding Andy’s release and possible indictment for money laundering. Andy comes to the realization that the warden doesn’t have Andy’s best interests at heart. Andy now knows that he can no longer depend on the good fortune of the warden and the justice system and plots a new plan for freedom. CLIMAX: Andy escapes from prison. The warden’s shoes are missing. Red is questioned but he has no answers. Andy crawled through 500 yards of human waste to freedom. The next morning, the man that didn’t exist, shows up at the all the banks where the Warden held money laundering accounts and withdrew all the money from Mr. Stevens’s bank account. Mr. Stevens, the man that Andy created that didn’t exist. He then mails incriminating documents to the authorities who come to take the warden into custody. The warden takes his own life and avoids capture. Red is released from prison and remembers what Andy asked him to do. Red goes to the spot Andy asked him to go visit, the grass field keeping his promise to him. Red arrives at the grass fields, finds the stone wall leading to the tree where Andy proposed to his wife. Red discovers cash and a letter written by Andy. “Get busy living, or get busy dying!” Red violates his parole and heads to the border finally reuniting with his old friend, Andy. END POINT: Hope is an idea that lies within each and every one of us and only we can extinguish that hope for if we let others extinguish it for us, we are as good as dead.